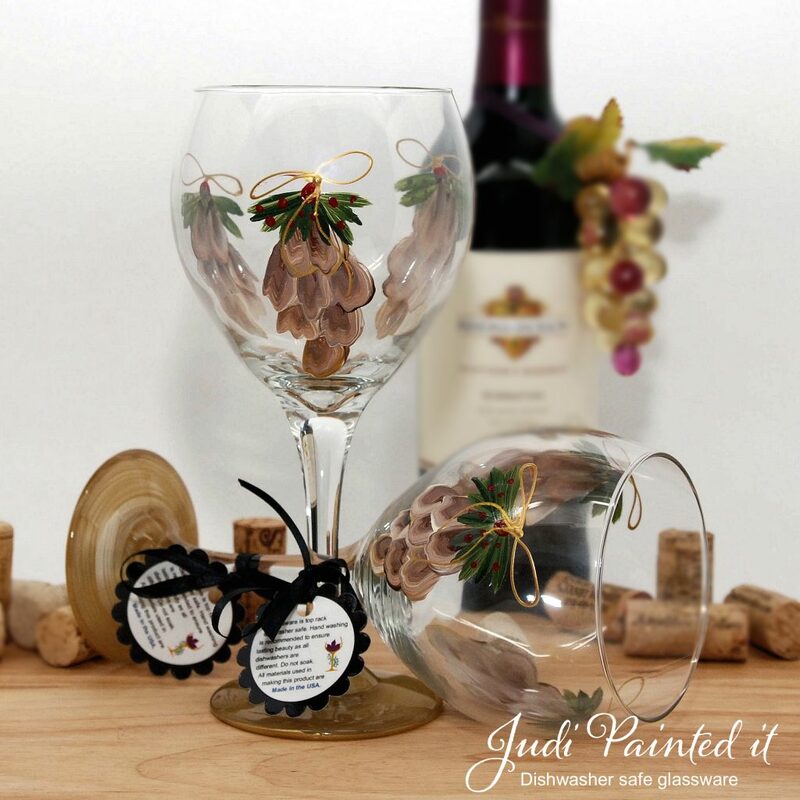 Extraordinarily rich detail—with a contrasting golden base and an elegant gold bow adorning each pine cone and red berry cluster in the festive trio featured on this cheery wine glass. 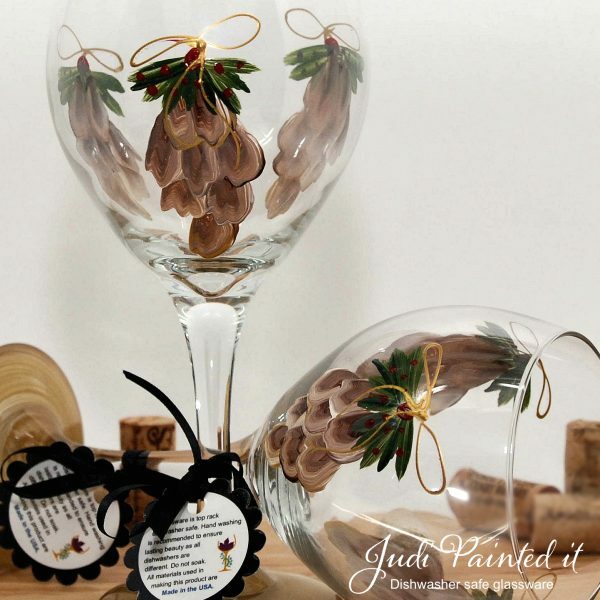 ‘Tis the season to be berry, berry good to your guests by serving them wine in these stunning pine cone glasses. 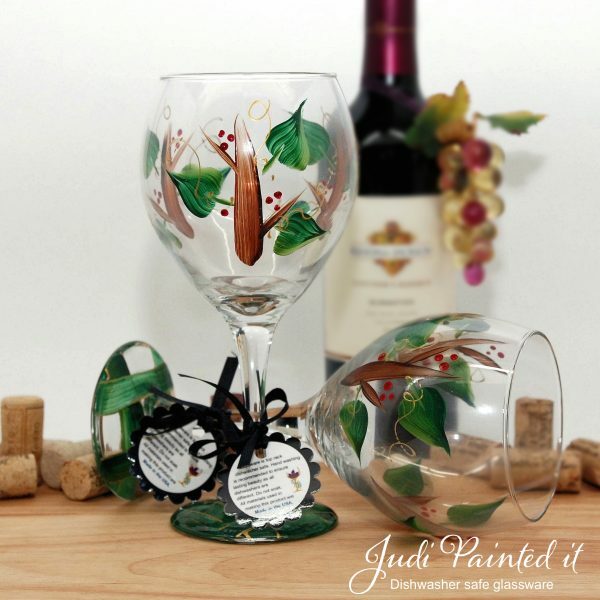 Note: The listing is for (1) glass, photo shows two to give all angles of the design.